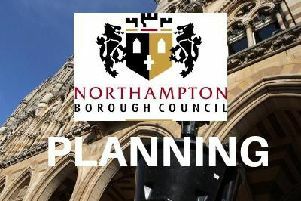 Residents are worried about plans for a huge rail freight depot they fear would join a village to Northampton. The Rail Central plan has been put forward by Ashfield Land, which has acquired, or has options on, most of the land between Blisworth and Milton Malsor, stretching from the A43 to the A508. Similar to the DIRFT site near Crick, it would see the building of warehouses, new rail sidings, a hotel, a pub and restaurant, a service depot and HGV parking. Mark Redding, a Blisworth resident, said: “Traffic through the village now is fairly chaotic, but with 8,000 new jobs there will be a huge number of new commuters, many of who will want to use the village. I’m also concerned that it will be a 24-hour operation. It is understood that HGVs picking up goods will use the A43 and most new commuters would be likely to use the main road from Milton Malsor to Blisworth. The development would be so big it will effectively join the two villages, which are just over mile apart. The news will be a particular blow to Milton Malsor villagers, who successfully battled kitchens firm Howdens, leading it to withdraw from its own warehouse plans for the area only in June 2015. However, the size of that project was a mere 2.5 million square feet. Ashfield Land said the Government is very keen to switch long distance freight from roads and motorways to rail as much as possible - for both safety and environmental reasons. The location between Blisworth and Milton Malsor is ideal, the developer says, because it is both near the M1 and where the Northampton Loop rail line meets the West Coast Main Line. DIRFT, by contrast, is served only by the Northampton Loop. Claire Cope, planning director for Rail Central, said: “Moving goods and products around the country effectively and efficiently is crucial for the economy, for competitiveness, and for the environment – and our national planning policy supports investment into more freight on rail. Because of the high priority placed on reducing road freight, the ultimate decision on whether Rail Central proceeds will be taken by the Government rather than locally. If the Secretary of State gives the go-ahead, then land not acquired would be compulsorily purchased. Sites known to have been bought include Young’s Nurseries and Arm Farm. The first stage is scheduled to be up and running by about 2021. NOTE A previous version of this story stated that the former Young’s Nurseries has been purchased by Ashfield Land. We accept this is not correct and apologise for the error.